On 31 August 1994, Vélez Sársfield won the Copa Libertadores, defeating two-time defending champions São Paulo in a penalty shootout. Embodying the joga bonita philosophy of their manager, Tele Santana, São Paulo were in the midst of a tremendous five-year run of success that included one league title (1991), two Campeonato Paulistas (1991, 1992), two Intercontinental Cups (1992, 1993), as well as the 1992 and 1993 Copa Libertadores. They were heavily favored over Vélez Sársfield, who by that point had won a handful of amateur trophies and two league titles (1968, 1993). But it was Vélez who took the advantage in the Copa final, winning the first leg 1-0. In the second leg, played on 31 August in São Paulo, the hosts evened the aggregate score with a 33rd minute penalty from striker Luís Antônio Corréa da Costa, better known by his nickname, Müller. Still level at the end of regulation, the match went to a penalty shootout. After Vélez defender Roberto Trotta scored with the first kick, keeper José Luis Chilavert guessed correctly, diving to his left to parry the attempt from Sao Paulo's Palhinha. Immediately afterward, Chilavert stepped up to the spot and converted his own attempt as Vélez claimed the trophy by a 3-5 margin in the shootout. On 30 August 1994, Barcelona won their fourth Supercopa de España, beating Real Zaragoza 6-5 over two legs. Barça won the first leg at Zaragoza by the comfortable margin of 0-2. The second leg, though, was a much tighter affair. 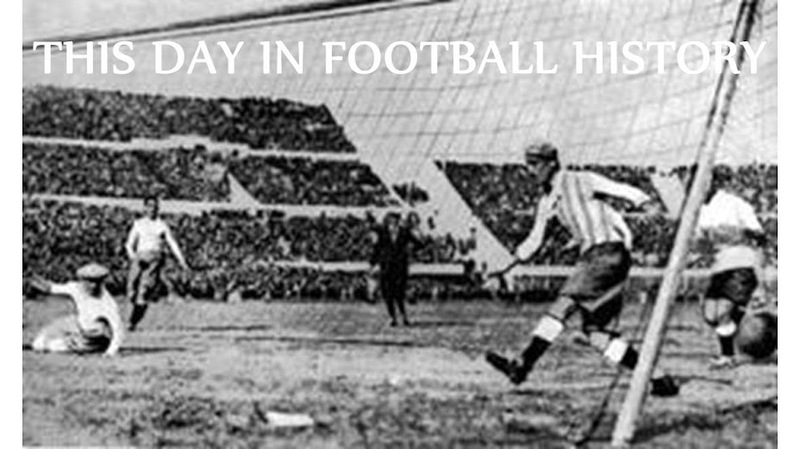 Playing before a crowd of 70,000 at Camp Nou, Zaragoza took an early lead with a 10th-minute goal from defender Alberto Belsué, who blasted the ball right over Barcelona keeper Carles Busquets (father of current Barcelona player Sergio Busquets). Neither keeper looked very impressive, as Zaragoza's Andoni Cedrún misplayed a ball three minutes later to concede a goal from Barcelona winger Txiki Begiristain. Things got worse for Busquets as Zaragoza evened the aggregate score at 3-3 before the break with goals from striker Juan Esnáider (32') and Francisco Higuera (33'). But Barcelona pulled ahead in the second half with a brace from striker Hristo Stoichkov (pictured) (50', 69'). Higuera scored again in the 77th minute after Busquets misplayed another ball and left him with an open goal, but Cedrún committed a similar error at the other end, allowig Txiki an uncontested strike in the 87th minute. Higuera completed his hat-trick two minutes later to win the second leg 4-5, but it was small consolation as Barça took the trophy. It was the eleventh trophy for Barcelona manager Johan Cruyff, a record haul that was surpassed only recently by Pep Guardiola, who appeared as a substitute in that match. Guardiola's twelfth trophy came in August 2011 when Barça beat Porto in the UEFA Super Cup. On 29 August 1987, somebody scored the English Football League's 400,000th goal. But nobody knows who it was. Established in 1888, the Football League governed the top four tiers of English football until 1992, when the uppermost division broke away to form the Premier League. Due to imprecise starting times and match reports, there have been many contenders for the league's first goal, including Aston Villa full back Gershom Cox's own goal against Wolves and Preston North End's Fred Dewhurst against Burnley. Recent evidence, however, suggests it was scored by Bolton's Kenny Davenport against Derby County. Similarly, lack of details in match timing makes it impossible to say who scored the 400,000th goal. The records only make clear that it came on 29 August 1987. The day's 43 matches provided a total of 110 goals, with only four scoreless draws among them. The day's highest score came from Division Three's Gillingham, who beat Southend United 8-1, while the highest tally in the top flight was Arsenal's 6-0 victory over Portsmouth. Darlington came close to that in Division Four, beating Hartlepool United 2-5. Sheffield United delivered the top score of the Second Division with a relatively modest 3-1 win over Blackburn Rovers. It took almost nine years for the league to reach 500,000 goals, with Huddersfield's Gary Taylor-Fletcher collecting the honor with a strike against Rotherham United. Labels: Arsenal F.C., Blackburn Rovers F.C., Darlington FC, Football League, Gillingham FC, Hartlepool United F.C., Portsmouth F.C., Sheffield United F.C., Southend United F.C. On 28 August 1994, Liverpool beat Arsenal 3-0 thanks to 19-year old striker Robbie Fowler, who delivered what was, at the time, the fastest hat-trick in Premier League history. A member of Liverpool's youth team, Fowler joined the senior side in 1993 and quickly established himself as a talented goalscorer with 18 goals in 34 appearances that first season. 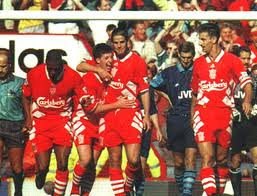 But nothing quite prepared the Liverpool faithful for his performance against Arsenal in the second match of the 1994-95 season. Playing before a crowd of over 30,000 at Anfield, Fowler opening the day's scoring in a 26th minute when Arsenal defender Martin Keown failed to clear a cross from a free kick. The ball dropped to the feet of Fowler, who scored with a simple finish from eight yards out. He had to work a little harder for his second goal three minutes later, shooting across the goal to send the ball in off a rebound from the far post. But his best goal of the day was his last. In the 31st minute, he beat both Keown and goalkeeper David Seaman, who collided with one another, then slotted the ball into the open net from a narrow angle. Arsenal failed to mount a serious challenege after that point as the hosts were content to sit on the lead and the match ended 3-0. Officially, only 4 minutes, 33 seconds passed between Fowler's first and third goals. It remained a Premier League record until May 2015 when Southampton's Sadio Mane scored a hat-trick in 2 minues and 56 seconds. Labels: Arsenal F.C., David Seaman, Liverpool F.C., Robbie Fowler, Sadio Mane, Southampton F.C. On 27 August 1977, Anderson Luís de Souza, better known as Deco, was born in São Bernando do Campo, Brazil. A star for Porto, Barcelona, Chelsea, and the Portuguese national team, the midfielder was named the UEFA Club Footballer of the Year for the 2003-04 season. He started his professional career in 1996 with Brazilian club Corinthians, but did not stay long, moving to Portugal in 1997. He signed with Benfica, but went out on loan immediately to Alverca (1997-98) and Salgueiros (1998-99) before finally settling with Porto in 1999. He stayed there for five a half seasons, winning three league titles (1999, 2003, 2004), three Portuguese Cups (2000, 2001, 2003), the 2003 UEFA Cup, and the 2004 Champions League. His time in Portugal led him to become a citizen and play for the Portuguese national team after he was not selected for Brazil. He went on to make 75 appearances for Portugal between 2003 and 2010. When Porto manager José Mourinho left for Chelsea in 2004, Deco was rumored to follow him, but instead signed a four-year deal with Barcelona. There, he continued his winning ways, adding two La Liga titles (2005, 2006) and another Champions League trophy to his silverware collection. In 2008, he finally moved to Chelsea to play for new manager Luiz Felipe Scolari. 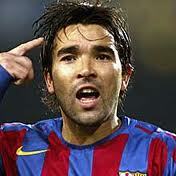 Although the club was successful, winning two FA Cups (2009, 2010) and the Premier League (2010), Deco was unsettled and unhappy in London. In 2010, he moved back to Brazil to play for Fluminense where he remained until his retirement in 2013. 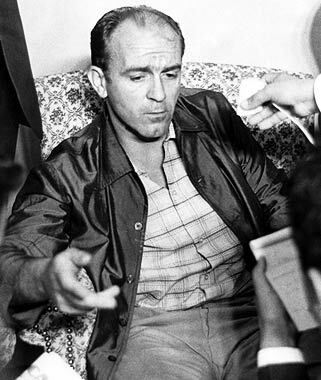 On 26 August 1963, Real Madrid striker Alfredo di Stéfano, who had been kidnapped two days earlier, was released unharmed. The abduction occurred in Caracas, Venezuela, while Real Madrid were on a preseason tour of South America. Paul del Rio, a 19-year old member of the Venezuelan revolutionary group Fuerzas Armadas de Liberación Nacional, took di Stéfano at gunpoint from his hotel. By doing so, he hoped to draw attention to the FALN's attempts to stage a Fidel Castro-type revolution in Venezuela. They released di Stéfano (pictured, the day of his release) unharmed outside the Spanish embassy and he returned to Madrid shortly afterward. In August 2005, di Stéfano was reunited with del Rio for the premiere of a film titled Real, the Movie that recounted the events of 1963. By that time, del Rio had long since given up his revolutionary activities and was a well-known sculptor and painter. Labels: Alfredo di Stéfano, Paul del Rio, Real Madrid C.F. 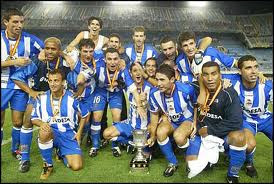 On 25 August 2002, Deportivo de La Coruña won their third Supercopa de España, beating Valencia 4-0 over two legs. They had all but secured the trophy in the first leg played one week earlier at the Estadio Riazor in La Coruña. It had been a heated battle that spilled over into the stands, as Valencia keeper Santiago Canizares was struck by an object thrown from the crowd at the end of the match, which Deportivo won 3-0. The emotions carried into the second leg, played at Valencia's Estadio Mestalla. In only the third minute, Valencia defender Roberto Ayala was sent off for elbowing striker Roy Makaay. Down to 10 men, the hosts were unable to create much of an attack while Deportivo were content to protect their 3-goal aggregate lead. Tempers continued to flare and Valencia nearly had a second player sent off after left back Fabio Aurelio delivered a nasty challenge on midfielder Juan Carlos Valeron. Although the challenge could have earned a red card, the referee saw fit to issue a yellow. There were a few other dust-ups before Deportivo midfielder Victor Sanchez scored in the 90th minute to end the competition as a 4-0 aggregate win. It was Deportivo's third win in three tries and they are the competition's third most successful team, after Real Madrid and Barcelona. Labels: RC Deportivo de La Coruña SAD, Valencia C.F. 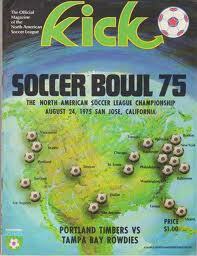 It was the only Soccer Bowl apperance for Portland. Tampa Bay returned twice more, but lost to the New York Cosmos in 1978 and to Vancouver Whitecaps in 1979. On 22 August 1937, Bordeaux made their league debut, losing to Toulouse, 3-2. The club dates back to 1881, but initially offered only gymnastics and shooting. They added football on a trial basis in 1910, then abandoned it again for nearly a decade. It returned for good in 1919 and they played their first official match in 1920, beating Section Burdigalienne 12-0. 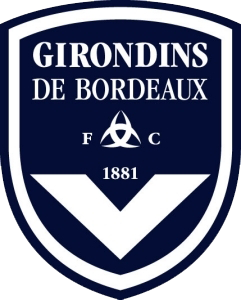 In 1936, the club merged with Girondins Guyenne Sport and assumed professional status. They joined the French league for the 1937-38 season, playing in the second division, where they opened the year with the loss to Toulouse. It was not a good season for the Girondins, who finished sixth out of seven teams in Division 2's Sud subdivision. They remained in Division 2 until 1939, finishing eleventh in the league's last season before the hiatus for World War II. When league play resumed in 1946, Bordeaux were placed into Division 1, but were promptly relegated at the end of the season. Bordeaux returned to the top flight in 1949 and won the league that season, the first of their six league titles. They enjoyed their greatest period of success in the 1980s, winning the league in 1984, 1985, and 1987, then won it again in 1999 and 2009. They have also won the Coupe de France three times (1941, 1986, 1987) and the Coupe de la Ligue three times as well (2002, 2007, 2009). It was the fourth straight appearance in the gold medal match for the US, who had won it twice before, including a 2-1 extra time win over Brazil in 2004. The two teams had developed a healthy rivalry, intensified by Brazil's 4-0 drubbing of the US in the 2007 World Cup that cost manager Greg Ryan his job. The 2008 Olympics were the first major tournament for his successor, Pia Sundhage. Then, in the 96th minute, a charging Carli Lloyd (pictured) passed the ball to Amy Rodriguez, who quickly returned the ball. Lloyd drove a shot in from just outside the box, crossing the face of the goal and beating Brazil's keeper, Barbara. On 20 August 2003, winger Cristiano Ronaldo made his first appearance for Portugal in a 1-0 victory over Kazakhstan. Only 18 years old, he was clearly a star in the making for the national team, having already played 25 times for Portugal's youth teams and scoring 11 goals. And, just ten days before his senior international debut, he completed a high-profile move from Sporting to Manchester United. The match itself was an inauspicious friendly, with the only goal coming from Portuguese midfielder Simão Sabrosa in the 65th minute. It was a lucky bounce, as Kazakhstan defender Ihor Soloshenko's attempted clearance hit Sabrosa in the chest and deflected into the goal. But Ronaldo became a regular starter for theSelecção, helping them reach the Euro 2004 final and fourth place in the 2006 World Cup. In 2007, Ronaldo claimed the captain's armband for Portugal and led them to the European Championship in 2016. He is the team's all-time leader in appearances (133) and goal (61). On 19 August 2007, Sevilla won their first Supercopa de España, destroying Real Madrid at the Bernabéu to win 6-3 on aggregate. Sevilla, the 2007 Copa del Rey and UEFA Cup winners, hosted the first leg on 11 August and scraped out a 1-0 victory thanks to a 27th-minute penalty kick from striker Luís Fabiano. The second leg was hosted by Real Madrid, the 2007 La Liga champions. A crowd of 69,000 turned out at the Bernebéu and were stunned to see Sevilla increase their aggregate lead in the 16th minute when a scramble in front of the Madrid goal allowed forward Renato to knock the ball home. But just seven minutes later, Madrid midfielder Royston Drenthe beat Sevilla keeper Andrés Palop with a rocket from over 35 yards out. In the 37th minute, a Madrid handball led to another Sevilla penalty, converted by striker Frédéric Kanouté, who had missed the first leg. Madrid surged back to take a 2-3 lead on the day with goals from Fabio Cannavaro (44') and Sergio Ramos (78'). The 3-3 aggregate score would have seen them take the cup on the away goals rule, but Sevilla pulled away with three late strikes from Kanouté (80', 89') and Renato (88') to claim the victory. Real Madrid eventually sorted out their defensive woes, giving up the fewest goals in the league en route to the 2007-09 La Liga title, while Sevilla finished fifth that season. 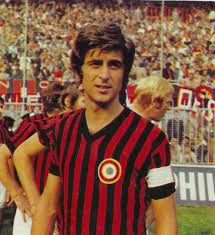 On 18 August 1943, future AC Milan captain and 1969 Ballon d'Or winner Gianni Rivera was born in Alessandria, Italy. A high-scoring midfielder, Rivera--nicknamed "the Golden Boy"--began his professional career in 1959 with his hometown club, but moved to AC Milan in 1960. He remained there until his retirement in 1979, amassing a total of 658 appearances and 164 goals for the Rossoneri in all competitions. Along the way, they won three scudettos (1962, 1968, 1979), four Coppa Italias (1967, 1972, 1973, 1977), one Intercontinental Cup (1969), two Cup Winners' Cups (1968, 1973), and two European Cups (1963, 1969). After that first European Cup, a 2-1 victory over Benfica, Rivera finished as runner-up to Dynamo Moscow keeper Lev Yashin for that year's Ballon d'Or. He finally claimed the award in 1963 after leading Milan to that year's European Cup, despite missing the final against Ajax due to an ankle injury. Rivera also starred for Italy, making 60 appearances between 1962 and 1974. During that time, Italy won the 1968 European Championship and reached the final of the 1970 World Cup (where they lost to Brazil). After his retirement, he held a vice-president position with Milan until 1986. In 2004, Pelé named him one of the 125 greatest living players. On 17 August 1996, 21-year old Manchester United midfielder David Beckham grabbed world headlines with a spectacular goal from the halfway line. The moment came in United's Premier League season opener at Wimbledon FC. By that point, Beckham had been with United for about four and a half seasons as a professional (including a short loan spell at Preston North End) and had made a total of only 42 league appearances. He had only established himself as a regular starter during the previous season, but it was a very successful one, with United winning a league and FA Cup double. Still, while Beckham was clearly a talented player, he was not yet considered a superstar of the sport, and had, in fact, not yet even earned his first England cap. His profile took a dramatic upward turn against Wimbledon, however. With United already leading 0-2, Beckham received the ball inside his own half and took a short dribble toward the halfway line. Right before he reached it, he spotted Wimbledon keeper Neil Sullivan off his line and ripped an audacious shot toward goal. As Sullivan scrambled backward to reach it, the ball fell over his head and into the net. Two weeks later, Beckham played his first match for England. 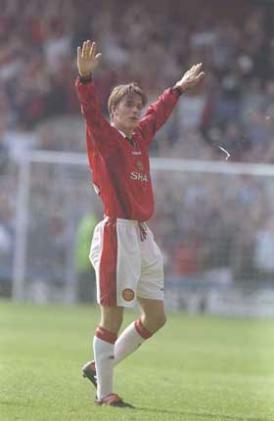 United went on to win the league again that season, the second of six league titles Beckham would claim with the club. Labels: David Beckham, Manchester United F.C., Neil Sullivan, Wimbledon F.C. 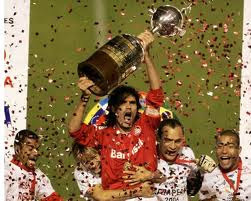 On 16 August 2006, Internacional won their first Copa Libertadores, beating São Paulo on aggregate over two legs. The all-Brazilian event was Internacional's first appearance in the tournament final since 1980, when they lost to Uruguay's Nacional. 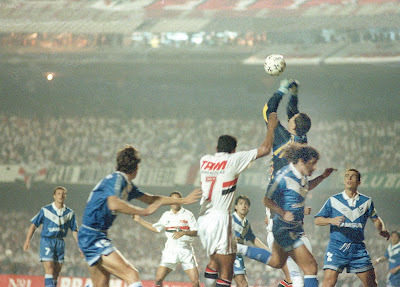 São Paulo, meanwhile, were the defending champions, having won their third title that year. Internacional won the first leg, played in São Paulo one week earlier, by the score of 1-2, with both of their goals provided by forward Rafael Sóbis. 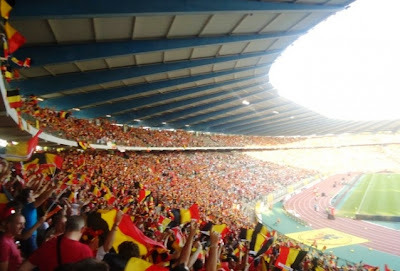 They met for the second leg at the Estádio Beira-Ro. Playing before a crowd of 55,000, São Paulo pressed for a goal and came close a couple of times, but failed to finish. The first break fell to Inter, when São Paulo keeper and captain Rogério Ceni failed to corral a corner kick. It dropped to Inter's captain, striker Fernandão (pictured), who drove it into the net with a sliding kick. Shortly after the break, São Paulo defender Fabão scored from a 50th-minute free kick, but Inter midfielder Tinga restored the margin 16 minutes later when he headed the ball into an open net. That was his last contribution, however, as he received a second yellow for excessive celebration and left the match. But São Paulo failed to take advantage of the ejection until the 85th minute when they got a consolation goal from midfielder Lenílson. The match ended 2-2, giving Inter the aggregate win, 3-4. Internacional were the ninth team from Brazil to win the tournament, the highest number of winning clubs from any country. On 15 August 1993, goalkeeper Mark Schwarzer made his first start for Australia in dramatic fashion, saving two penalties in a shootout to advance the Socceroos past Canada in a World Cup qualifier. Playing his club ball at the time for the Marconi Stallions in Sydney, Schwarzer had come on as a substitute in the qualifier's first leg, a 2-1 Canadian win in Edmonton, when Australia's starting keeper, Robbie Zabica, was sent off for a foul in the 17th minute. 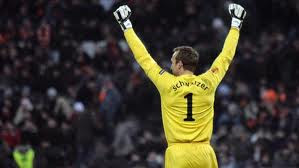 For the second leg in Sydney, manager Eddie Thomson looked to the 20-year old Schwarzer for the start. Australia looked the better side in the first half and were rewarded with a dynamic bicycle-kick goal from striker Frank Farina in the 44th minute to take a 1-0 lead. Canada equalized shortly after the break, but Australia's Mehmet Durakovic leveled the aggregate score at 3-3 with a high arcing header from just inside the box in the 76th minute. In the penalty shootout, Australia went up 2-1 after Schwarzer saved a shot from striker Alex Bunbury, diving low to his right to swat the ball away. Australia went up 3-1 and then Schwarzer made his second save of the day. He guessed incorrectly and dove to his left, but still managed to get his right hand on the ball, which came straight down the middle. Farina scored on the next kick to give Australia the win in the shootout by the margin of 4-1. Australia were eliminated by Argentina in the next playoff round. Schwartzer did not play in those matches, but returned in 1994 and made a total of 109 appearances for the Socceroos before retiring in 2013. On 14 August 1971, 20-year old striker Kenny Dalglish scored his first competitive goal to help Celtic past Rangers in the Scottish League Cup. 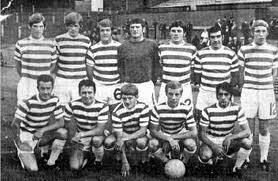 Dalglish (pictured, top left) started his professional career with Celtic in 1968, but made only nine total appearances in his first three seasons. But he impressed manager Jock Stein in a friendly played in May 1971, scoring six times in Celtic's 7-2 win. Stein rewarded Dalglish with an appearance in their opening match of the Scottish League Cup, played at home against rivals Rangers (who had beaten Celtic in the tournament final the previous season) and Dalglish justified the decision by scoring from the penalty spot in Celtic's 2-0 victory. Celtic went on to reach the final, where they lost to Partick Thistle. But they won the league for the sixth straight season (and would go on the win it the next three seasons as well). Dalglish provided a total of 23 goals that season en route to a grand total of 167 in his Celtic career, which ranks him 10th on the club's list of all-time scorers. Before he retired in 1990, Dalglish amassed a total of 366 goals for Celtic, Liverpool, and Scotland. In 2009, FourFourTwo magazine named him British football's greatest post-war striker. 13 August 2006 - Probably The Only Time I'll Call An 8-Goal Margin "Close"
On 13 August 2006, the longest football match in United States history ended after 100 hours of continuous play. Hosted by MLS club Chivas USA in honor of the 100th anniversary of their parent club, CD Guadalajara, the match consisted of a Chivas side taking on a "Rest of the World" team. Played at the Bell Gardens Sports Center in California, it began on Wednesday, 9 August and continued for 6,000 straight minutes. Over 2,000 players participated in the match, including former professionals, team officials, local politicians, and even members of the Chivas USA dance team, the ChivaGirls. The last hour saw appearances from Guadalajara president Jorge Vergara, Chivas USA president Antonio Cué, Guadalajara's all-time leading scorer Salvador Reyes, and actress Kate del Castillo. The Chivas side won the match by the relatively close score of 437-429, with proceeds from the match going to Chivas USA's charitable foundation. On 12 August 1970, two French clubs merged to form a new team. Known as Paris Saint-Germain, it is now the longest-tenured club in Ligue 1 and was the first French team to win a major European trophy. The merger was the result of a push to bring a top-level club to the capital. At the time, no club from the city had won Division One since RC Paris did it in 1936 (and they were from the suburb of Colombes) and no team had even finished in the top half of the Division 1 table since RC Paris finished second in 1961. But RC Paris had since fallen out of the top-flight, leaving perennial strugglers Red Star FC as the city's only Division 1 club. The proponents of a new team started by creating a shell club called Paris FC in 1969 and quickly started looking to flesh it out through a merger with another club. They eventually settled on Stade Saint-Germain, a club from a nearby suburb that had been founded in 1904 and had just won promotion to Division 2 for the 1970-71 season. 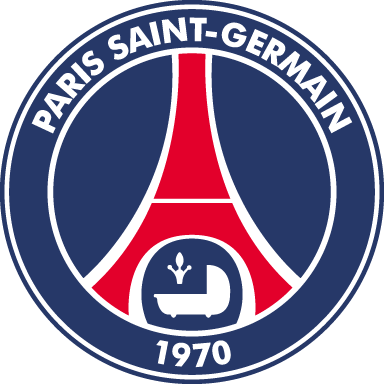 Taking Saint-Germain's league spot, the newly-combined PSG won promotion to Division 1 in their first season, but struggled to a 16th place finish in 1972. After that second season, tensions arose over the fact that the "Saint-Germain" in the team's name was not strictly part of the capital. The club split, with Paris FC splintering off and keeping the team's position in the top flight, while the still-named PSG assumed amateur status and dropped down to the third division. By 1974, however, PSG returned to Division 1 while Paris FC had fallen into Division 2. PSG have remained in the top flight ever since. They took their first Division 1 title in 1986 and added another in 1994. They are currently on a four-season streak, winning the league in 2013, 2014, 2015, and 2016. Labels: Blaise Matuidi, Javier Pastore, Jérémy Menez, Paris Saint-Germain F.C. 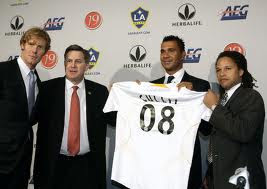 On 11 August 2008, the Los Angeles Galaxy made changes at the top of their organization, accepting the resignation of manager Ruud Gullit and sacking general manager Alexi Lalas. Lalas had held the general manager position since April 2006, when he moved to LA from the New York Red Bulls. He was instrumental in signing midfielder David Beckham from Real Madrid for a 5-year deal worth $32.5 million. Beckham arrived in July 2007 and Gullit followed shortly afterward. The former AC Milan star joined LA in November 2007 on a three-year deal with an annual salary of $2 million making him the highest-paid coach in the league at the time. His credentials included short stints at Chelsea (1996-98), Newcastle (1998-99), and Feyenoord Rotterdam (2004-05). The investments prompted many to tip the Galaxy as title contenders for 2008, but their performance on the pitch was poor. They hovered near the bottom of the Western Conference for most of the 2008 season and suffered through a seven-match winless streak that ended with the departure of Gullit and Lalas. The club brought former US national team manager Bruce Arena in for the 2009 season, which ended with the Galaxy at the top of the Western Conference and runners-up in the MLS Cup Final. Lalas went on to become an analyst and commentator for ESPN, ABC, and Fox while Gullit served for six months as the manager of Russian Premier League club Terek Grozy before getting sacked in June 2011. 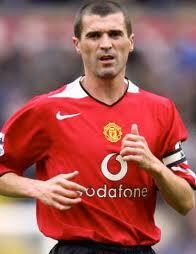 On 10 August 1971, former Manchester United and Republic of Ireland captain Roy Keane was born in Cork. A tenacious central midfielder, he was known for his competitive spirit both on and off the pitch. He began his career with Cobh Ramblers (1989-90) and Nottingham Forest (1990-93), but spent the majority of his career at Manchester United where he played from 1993 to 2005. United paid a then-record British transfer fee of £3.75 million to sign him from Forest and Keane delivered instantly, scoring a brace in his Old Trafford debut, a 3-0 victory over Sheffield United. That first season, United went on their first league and FA Cup double. He would go on to win seven league titles, four FA Cups, and the Champions League with United, but his success on the pitch was often overshadowed by his temper, with Keane receiving a total of 11 red cards during his time with United, often for violent conduct. In a 2001 match against Manchester City, Keane was ejected for brutally tackling Alf-Inge Haaland. He later revealed in his autobiography that the challenge had been an intentional retaliation for a dust-up the two had had in a previous match. The admission resulted in a further 5-match ban and a fine of £150,000. Keane left United in 2005 after several public disagreements with his teammates and manager Alex Ferguson. He moved to Celtic, but made only 13 appearances for them before retiring in 2006. He turned to management later that year and has helmed Sunderland (2006-08) and Ipswich Town (2009-11). In 2013, he became an assistant with the Republic of Ireland. 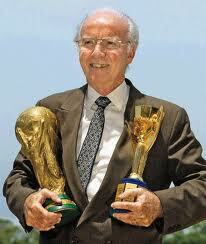 On 9 August 1931, future Brazilian legend Mário Zagallo was born in Maceió. He went on to become the first person to win the World Cup as a player and a manager. Nicknamed "the Professor," he spent his entire club career in Brazil, first with Rio de Janeiro club America FC (1948-49), then with Flamengo (1950-58) and Botafogo (1958-65). Although small at 1.67 meters (5'5"), he was a skilled midfielder with an instinct for the attack and a willingness to race back on defense. He rose to international fame with Brazil in 1958 when he played every minute of their World Cup campaign and scored in their 5-2 victory over Sweden in the final. He repeated that performance in 1962 as Brazil lifted their second World Cup. He retired as a player in 1965, but took up management one year later, starting with Botafogo. He briefly managed Brazil in 1967-68, then returned in 1970 in time for the World Cup. Although his style was criticized as too rigid and defensive, his Brazil squad won all six matches, including the final over Italy, to make Zagallo the first man in history to win the tournament as a player and a manager (to date, only Franz Beckenbauer has matched that accomplishment). After taking Brazil to a fourth-place finish in 1974, Zagallo left the national team and began a coaching journey that took him across Brazil and the Middle East. He returned to the national team in 1994 as an assistant to Carlos Alberto Parreira and again Brazil took the trophy. He replaced Parreira in 1998 and guided Brazil to another World Cup Final, but lost to France. He retired in 2001, but remains a constant presence around the Brazilian national team. On 8 August 2009, Lazio defeated Inter in the Supercoppa Italiana. As it turned out, it was the only competition Inter entered that season that they didn't win. Established in 1988, the Suppercoppa Italiana pits the previous season's Serie A winners against the Coppa Italia holders. For 2009, those teams were Inter and Lazio, respectively. At the time, they both had won the competition four times and had even met in the 2000 edition, which Lazio won 4-3 (Inter participated that year as Coppa Italia runners-up, since Lazio had done the double the previous season). Played at the Bird's Nest in Beijing, Inter looked the better of the two sides, with several close chances from new signing Samuel Eto'o. But Lazio were the ones to take the lead when their Brazilian midfielder Matuzalem knocked the ball home in the 63rd minute. They doubled their lead just three minutes later when captain Tommaso Rocchi (pictured) scored with a chip. Eto'o finally found the back of the net in the 75th minute, but Diego Milito's apparent equalizer shortly afterward was ruled to be offside, so the match ended as a 2-1 Lazio victory. Inter earned some consolation, however, by winning that season's Serie A title, as well as the Coppa Italia and the Champions League. On 7 August 2010, Queens Park Rangers established their credibility as Championship title contenders by crushing Barnsley 4-0 on the season's opening day. They had stumbled to a thirteenth-place finish the season before, due in part to a prolific shuffling of managers before settling on Neil Warnock in March 2010. Under Warnock's leadership, many in the media tipped the London club to challenge for promotion in 2011. Their season opener, played at home against Barnsley, was close for a half, with Rangers taking a 1-0 lead into the break after a 41st-minute penalty from Heidar Helguson. Barnsley missed chances on either side of half time for an equalizer, twice hitting the post, before Jamie Mackie doubled QPR's lead with a 53rd-minute tap-in. QPR benefited from the presence of midfielder Adel Taarabt (pictured), who had just signed a permanent deal after spending the previous season with them on loan from Tottenham. The Moroccan international worked tirelessly and was rewarded with a goal from the spot in the 63rd minute. Captain Fitz Hall added a fourth goal in the 81st minute to complete the rout. The win sent QPR to the top of the table, where they remained for all but two weeks of the season (they dropped to second once in October and once in November). They finished the season with 88 points, four clear of runners-up Norwich City, to claim automatic promotion to the Premier League for 2011-12. On 6 August 1936, FC Barcelona president Josep Sunyol was captured and executed by fascist troops. His death remains a grim reminder of Catalonia's oppression under the Franco regime. Born in 1898, Sunyol first became involved with Barça in 1926 and was elected to the Board of Directors two years later. During that time, he was also active as a left-wing politician and journalist, using his newspaper La Rambla and his position in the Spanish legislature to oppose the dictatorship of Primo de Rivera. He was elected president of FC Barcelona in 1935. When the Spanish Civil War broke out soon afterward, both the club and the Catalan region were targeted by the right-wing nationalists as symbols of republican resistance. In August 1936, only one month into the conflict, Sunyol set out from Barcelona for a meeting with fellow republicans in Madrid. But as he passed through a Franco-held region in the Sierra de Guadarrama north of the Spanish capital, he was recognized by nationalist troops who apprehended him, then executed him. 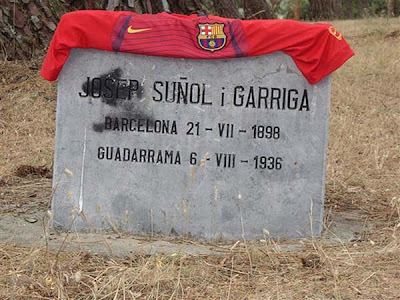 The nationalists' anti-Catalonian sentiments ran so deep that they ordered the name on Sunyol's gravestone to be spelled in the Castilian style as "Josep Suñol." Sunyol's death was only a small part of the abuses the city and club of Barcelona suffered under Franco, but he is remembered as a martyr to the Catalan cause.